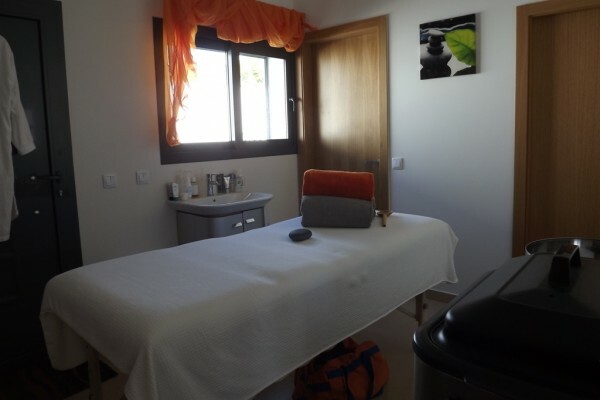 Situated in Costa de Prata (Silver Coast), with views over olive groves and vineyards and near the center of Batalha, Bed and Breakfast Casa Ceedina will get a unique and beautiful location. The village Batalha is located in the cultural heart of the Costa de Prata and is less than one hour and a half drive from Lisbon and a two hours from Porto. You are welcome in a new, modern and comfortable and attractively furnished accommodation. The Bed and Breakfast Casa Ceedina gives you the feeling of a luxurious small hotel. 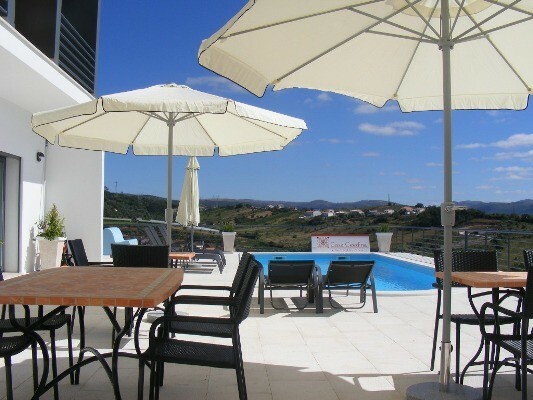 At the edge of the pool you can use the sunbeds and parasols and enjoy the tranquility and views of the valley. In the central room a delicious gourmet breakfast served in the morning. Furthermore, this area also offers the opportunity to for example read or enjoy a good glass of wine during the day. For us hospitality is the most natural thing in the world! The 2-person rooms of Casa Ceedina overlook the pool and gardens and each have a private terrace or balcony. They are royally and stylishly decorated and offer comfort for relaxation to come. Each room has 2 comfortable beds, a bathroom with shower, sink and toilet, wireless internet, sitting area, air conditioning and a LCD TV. Obviously, the towels are replaced every day and your room is cleaned every day. The common area is the focal point of Casa Ceedina. From here you can go to your room, patio, pool and garden. The common area is where breakfast is served in the morning. If the weather permits is, breakfast is served outside on the terrace near the swimming pool. Unfortunately we cannot have house pets at Casa Ceedina. All rooms and the common areas are non-smoking. No experiences yet with Casa Ceedina Bed and Breakfast & Beauty. Be the first! Did you stay in Casa Ceedina Bed and Breakfast & Beauty? Let us know what you thought about it and help others to make the right choice! * I confirm having stayed in Casa Ceedina Bed and Breakfast & Beauty. Find other bed & breakfasts in Batalha or all bed & breakfasts in Centro.